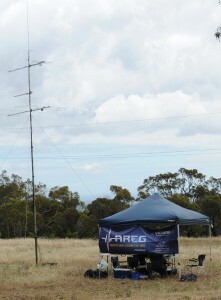 The River Paddling Marathon 2017 has come and gone, and once again AREG in conjunction with the Riverland Radio Club and a number of interested radio amateurs who approached us asking to participate was successful in providing three radio networks covering 200km of the River Murray through the canyon country of South Australia’s Riverland district. There was a 2m voice network for canoe tracking traffic, a 2m APRS network for tracking the safety boat locations, and a VHF commercial network for the safety boats and medics. “I just wanted to say a big Thank you to all the volunteers that came and assisted us with the RPM again this year. Without your support and assistance there is no way the AREG could assist with this event. This year I saw flexibility and professionalism being displayed across the board as small hiccups occurred people came with solutions and simply got on with the jobs and tasks. With this many willing hands a vast amount of difficult work got done in a very short time. To the checkpoint operators my profound thanks. For some of you getting out of bed between 4-5am, driving for up to an hour to sit by the banks of the Murray in chilly temperatures and watch the sunrise makes for a very long day. I truly hope that our volunteers enjoyed themselves and had fun. This year I’d also like to note that both Scott VK5TST and I observed our accuracy in reporting boat numbers was far higher this year, this made the job at the Bus significantly easier. Again I’d like to personally thank Peter VK5KX for the use of his Bus each day for net control, without the Bus and Peters preparation of the net control radio systems the Comms team manning net control wouldn’t have anywhere near as much fun. I know this year with the increased number of people at the Bus, Peter spent a much larger time running around making coffee and keeping people ticking over, for which I am personally thankful and likewise all that attended the Bus. I’d also like to thank Grant VK5GR (and team: Andy VK5AKH, Kim VK5FJ, Darin VK5IX, Scott VK5TST, Mark VK5QI and Marcus VK5WTF) for piecing the radio network together. This year was a challenge and seemed like a war of attrition at times as equipment hiccuped within the network. However the network and tech teams kept the beast running, cracking the whip when required or threatening to send it to Darin VK5IX for a reprogramming/tuning it would never forget. This year, at least, Darin frightened the Tait 2000s’ into submission, not a single one gave a problem out on the water, unlike previous years. Another monumental task is checkpoint planning and notes preparation. So a big thank you to Andrew VK5XFG and Kim VK5FJ for stepping up this year. I know that your help reduced the workload on Grant and I significantly. It takes a good week to just prepare and print the materials necessary. I’m waiting on Andrew to tell me how many pencil sharpeners we got back this year. Lastly I’d like to thank Scott VK5TST for his work at the Bus and on the software/database that we use to track the paddlers. Scott has worked in the background on this software over the past year (ok last two months prior to event *grin*), taking suggestions from bus operators last year and tweaking the GUI/HMI to suit. The improvements in efficiency was huge, I often amazed at how quickly he could come back with answers to common questions, closing of checkpoints and reconciling of paddler numbers when asked. Entering the data was fast and painless, better yet it assisted operators with keeping within the procedure which was fantastic. The AREG executive and committee would like to wish all AREG members and Amateurs world wide a very Merry Christmas and Happy New Year. Until next year stay safe and enjoy the Holiday DX Season. Due to technical issues this morning the FreeDV broadcast team were unable to take callbacks using FreeDV. Announcements were made using analog SSB and a few reports were achieved. Stations wishing to provide a signal report are encouraged to email the AREG with the usual details, email addresses can be found on the “contact us” page. Thanks and our apologies again for not being able to participate in the callback in DV. The Southern Hemisphere Space Studies Program (SHSSP) is jointly organised by the International Space University (ISU) and the University of South Australia. It is a unique, five week live-in experience focusing on an international, intercultural and interdisciplinary (3 “I”s) educational philosophy for which the ISU is renowned. The SHSSP have asked the AREG who have considerable experience with high altitude ballooning in Australia to assist with their participant Stratospheric Balloon Project, culminating in a high altitude balloon launch on Australia Day, the 26th of January 2016. The balloon launch will take place, weather conditions favourable, from the Mt. Barker High School in the Adelaide Hills, just east of Adelaide. The launch is expected to be released between 09:30 to 09:45 am local CDST January 26th, or 23:00 to 23:15 UTC January 25th . The balloon is expected to carry two payloads, one supplied by the SHSSP participants as part of their course project and the usual AREG/Horus telemetry payloads. Telemetry will the normal RTTY mode on 434.450 MHz USB. Please keep your eyes on the AREG website for more details closer to the date. UPDATE: 23rd January – Balloon will ID as AX5ARG-1! 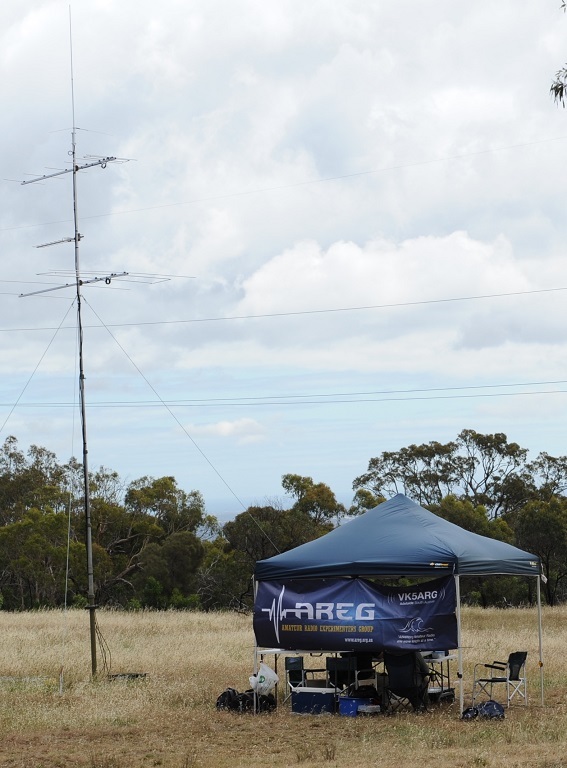 As the launch is occurring on Australia day, and Radio Amateurs across Australia can also use the AX prefix on that day in their callsigns, AREG has determined that the callsign that the balloon RTTY telemetry beacon will use for this flight is AX5ARG-1. To commemorate the special callsign, stations who provide evidence of receiving the telemetry beacon via the habhub tracking database (through the use of dl-fldigi) will be eligible for the special QSL card. We hope this will encourage more people to attempt to receive the balloon and relay the telemetry to the Internet during this flight! AREG General Business Meeting: August 21st + Guest Speakers ! The next meeting of the Amateur Radio Experimenters group will be held on Friday 21st August. 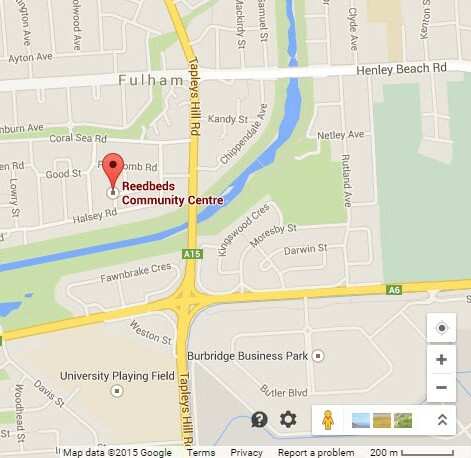 The venue as always will be the Reedbeds Community Hall, 19 Fitch Rd, Fulham SA 5024. This month there will be two guest speakers giving short presentations interrupted by a short business meeting. Doors open 7:45pm, first talk starts at 8pm sharp ! 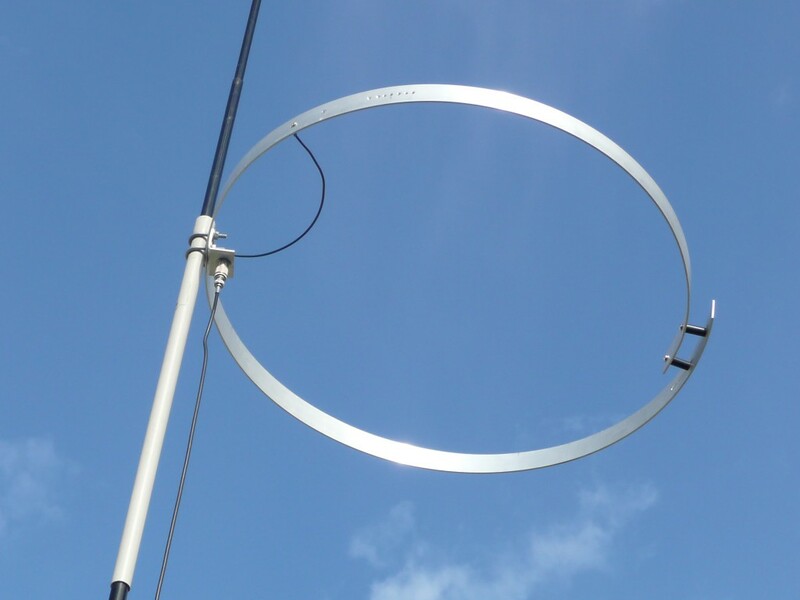 The first speaker will be Ben VK5BB who will give a 10 minute talk on the Amateur 6m band and what it has to offer in the summer time months. With summertime on the horizon (finally) it’s a good time to dust off the low band VHF 6m gear and get it ready for the upcoming summer months !!! This will be followed by a short general business meeting. FreeDV – getting it working! The second short technical presentation will be by David VK5DGR on the practical aspects of alignment, use and getting a FreeDV signal to air. With the AREG FreeDV QSO Party (click) just around the corner, now is perhaps a good time to get that SM1000 or PC Interface at the ready ! As is typical with all of David’s talks it certainly should be a good time to sit back and watch or hear Digital HF Voice first hand. This of course will be interspersed with coffee, cake and opportunities for technical chats around the kitchen bench. Should be a good night to get out of the house and come and play radio.